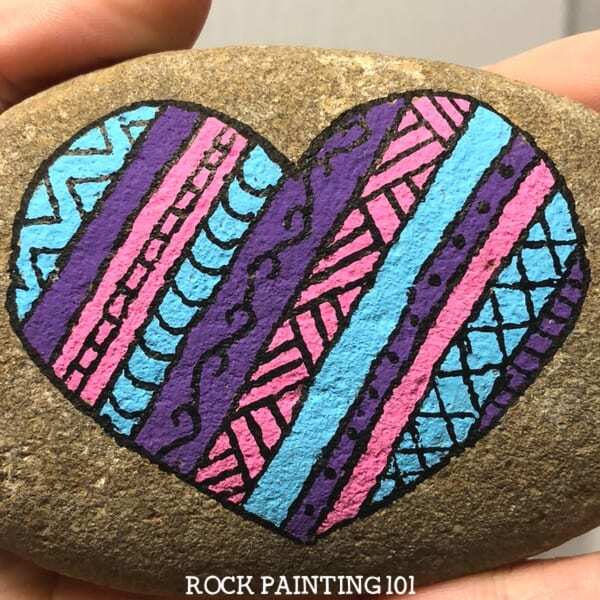 Heart rocks make lovely painted rocks. You can incorporate so many different techniques that there is a style that’s perfect for any skill level. 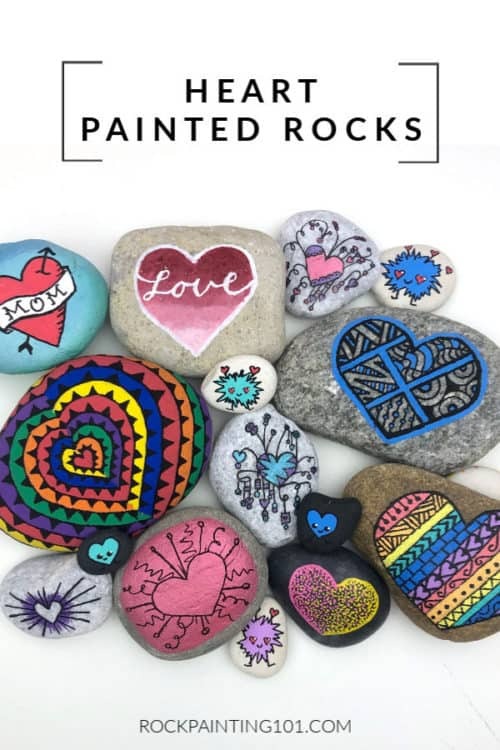 This collection will inspire you to pick up your paint pen (or brush) and create some beautiful rocks. I love creating heart rocks! 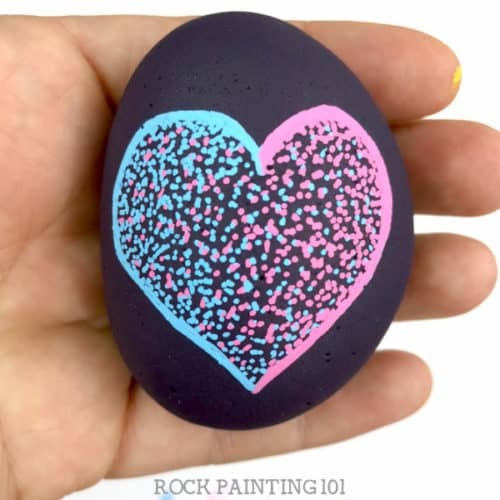 Of course, you can paint them for Valentine’s day or Mother’s day, but a good heart painted rock is welcome any time of the year. 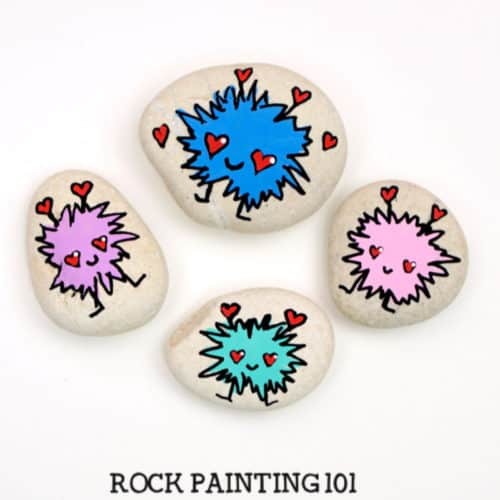 Check out this collection of heart rock painting ideas. You’ll see how there are so many different styles and that no two hearts will be the same. 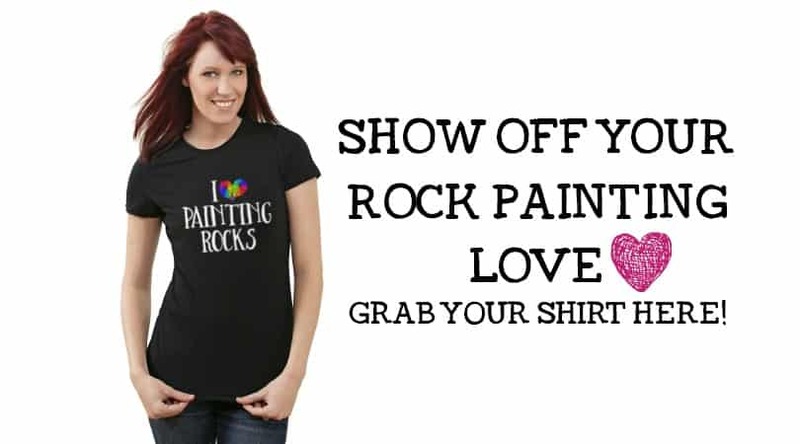 The videos will give you tips on how to paint the perfect heart shape. Plus you’ll see several different techniques. This list will continue to grow, so check back often! 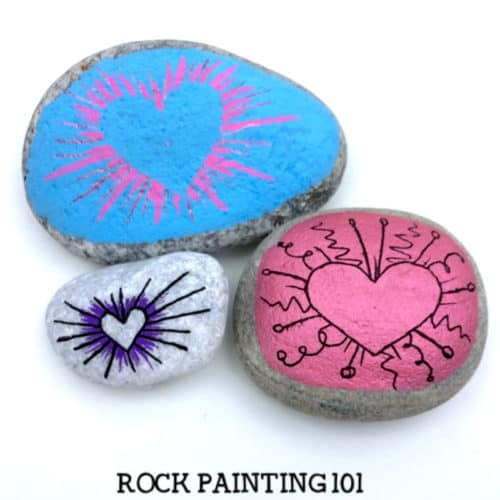 Which one of these lovely heart painted rocks will you create first? Learn how to create that perfect heart inside a radial design with this tutorial! 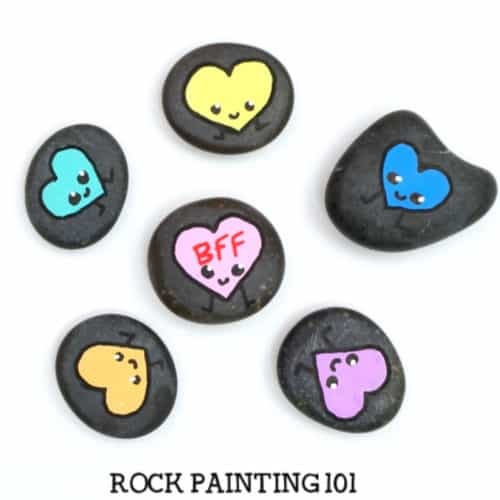 These happy hearts painted rocks are perfect for giving to people on Valentine’s Day! 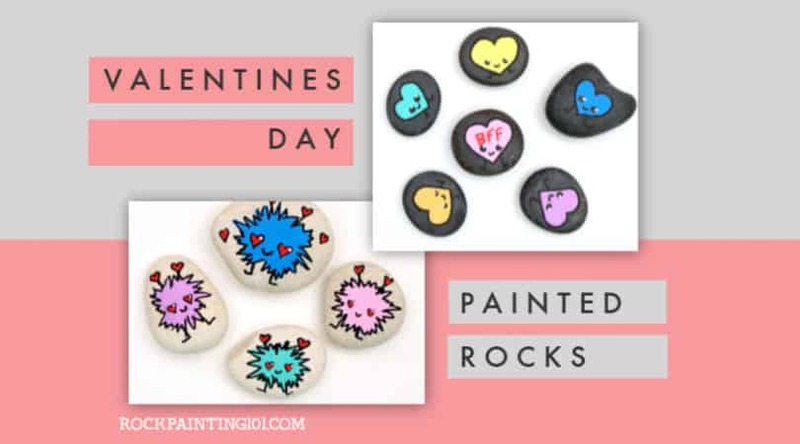 These may not be heart-shaped rocks, but their heart eyes make them perfect for this theme! 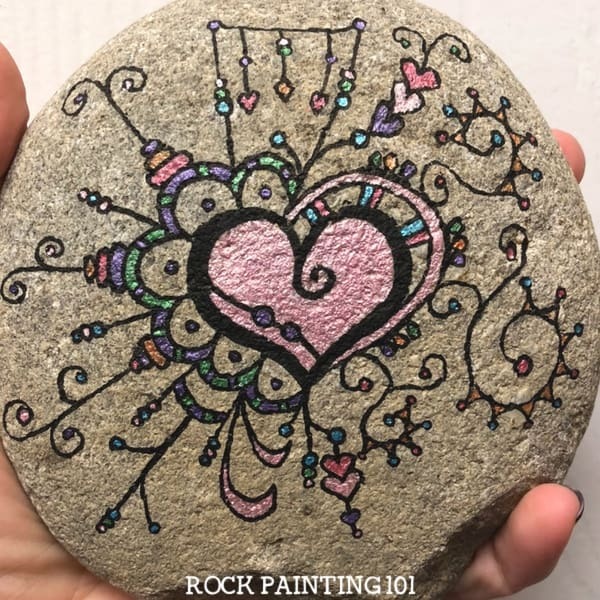 This mandala inspired rock painting idea is lovely! Check out the unique technique used to create this rainbow backdrop! 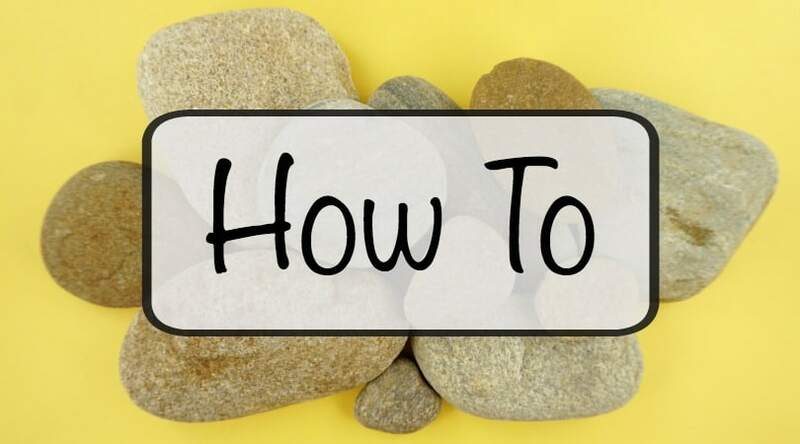 There are so many different techniques you can add to this rock. Dangles don’t always have to go down! Check out this fun twist on the zendangle technique. 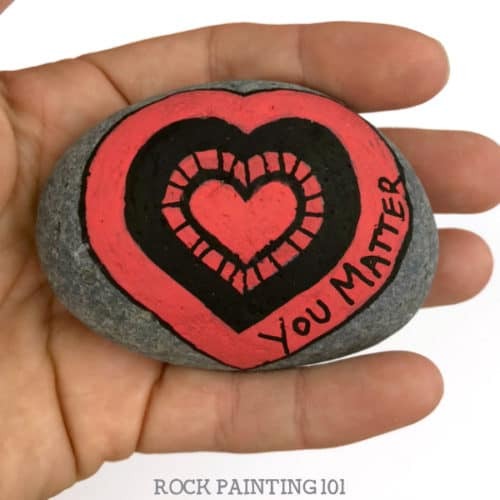 This rock was created to match the theme of this year’s International Drop A Rock Day. But the style can be used for any theme! 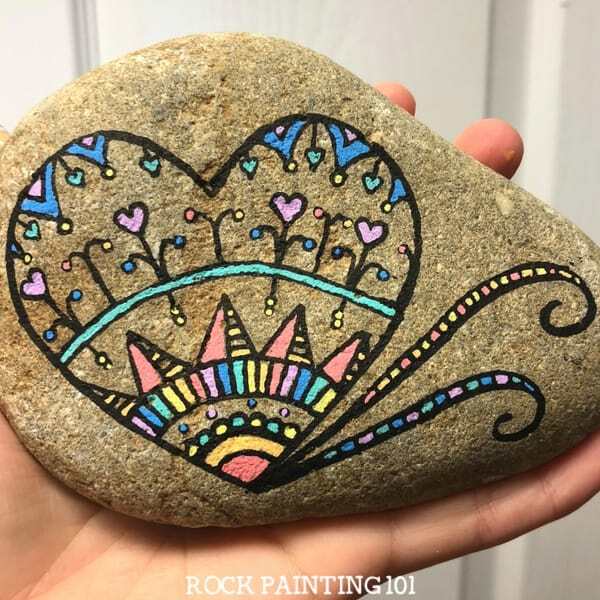 I love this style of rock painting. It’s so versatile and fun. 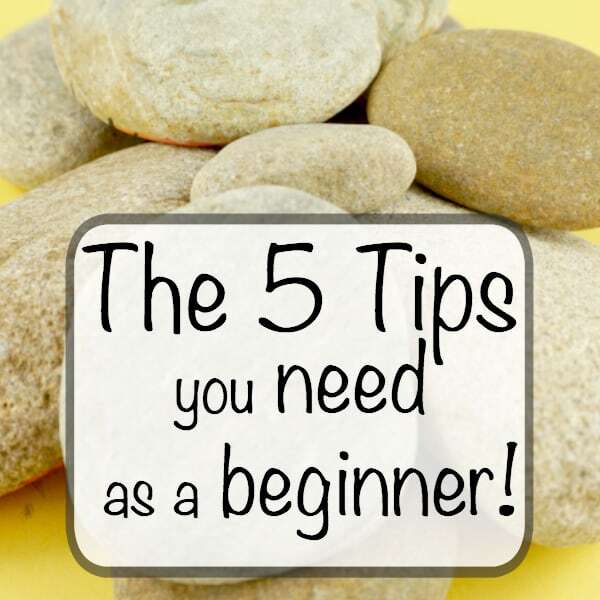 Check out the step by step tutorial and video for all the tips! 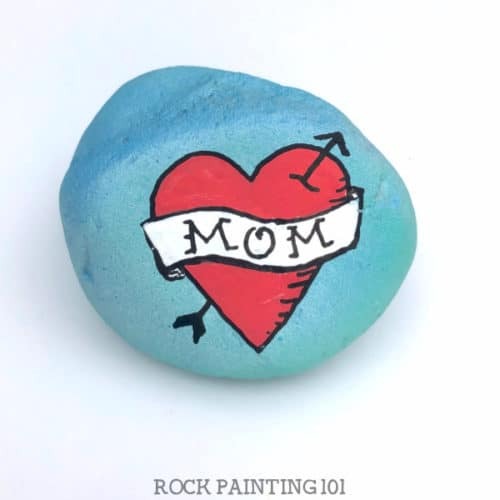 This rock is perfect for giving this Mother’s Day! 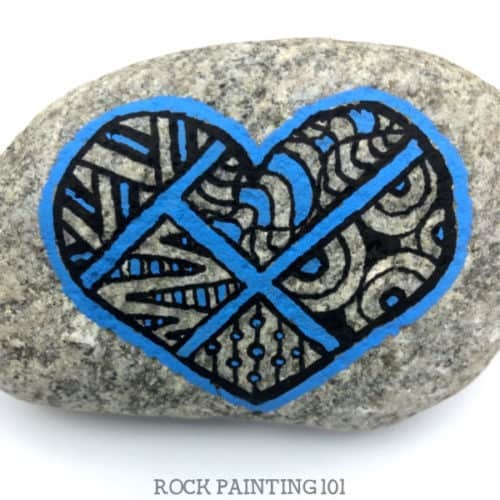 I love the details of this zendoodle style painted rock. 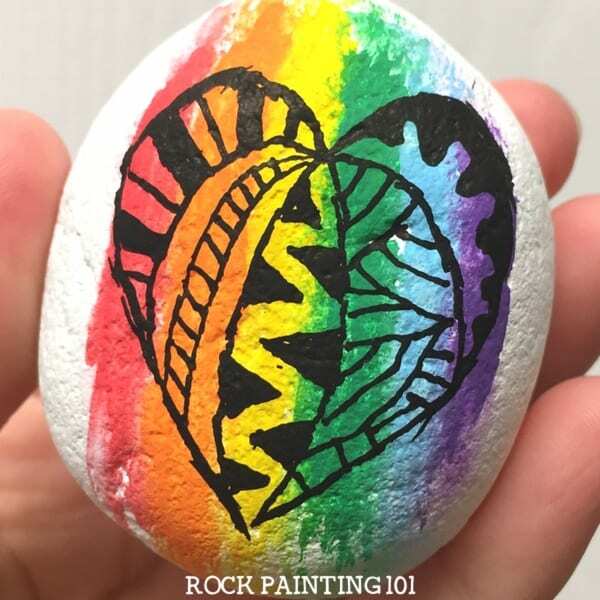 This rainbow heart rock has plenty of wow factor!! 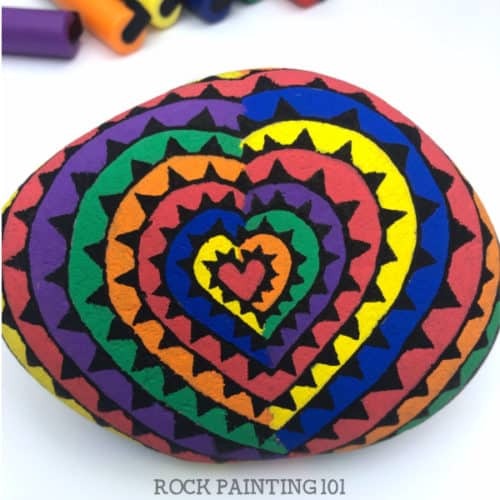 I hope you enjoyed this collection of Heart rocks! 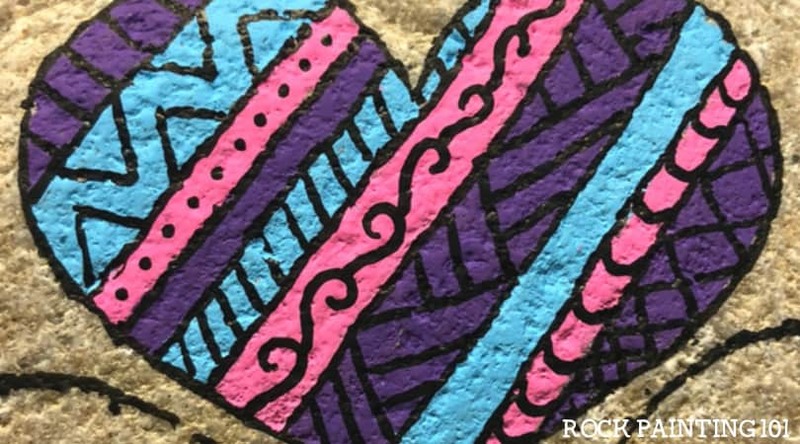 How many colorful hearts will you be hiding in your city? 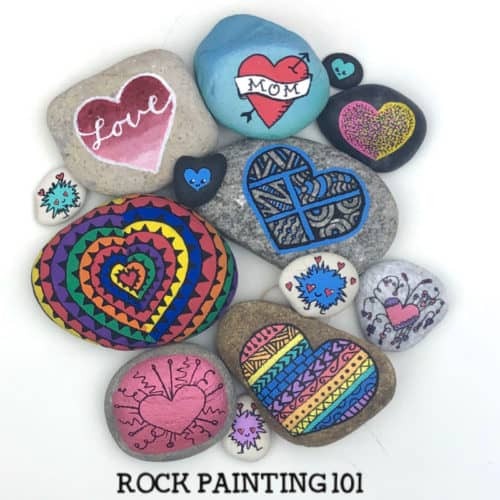 I’ll continue to add to this collection whenever I create a fun new painted heart rock, so make sure to check back!